Daylesford is a 90 minutes drive from Melbourne. It’s known for its spas and fancy restaurants. I know it for its markets. The best one is the Sunday Market at the train station. It’s on every Sunday from 8am to 3pm. The alpaca wool lady who sells alpaca wool everything from South America; she is not here every week though. I buy the big, chunky cable knits for $120. 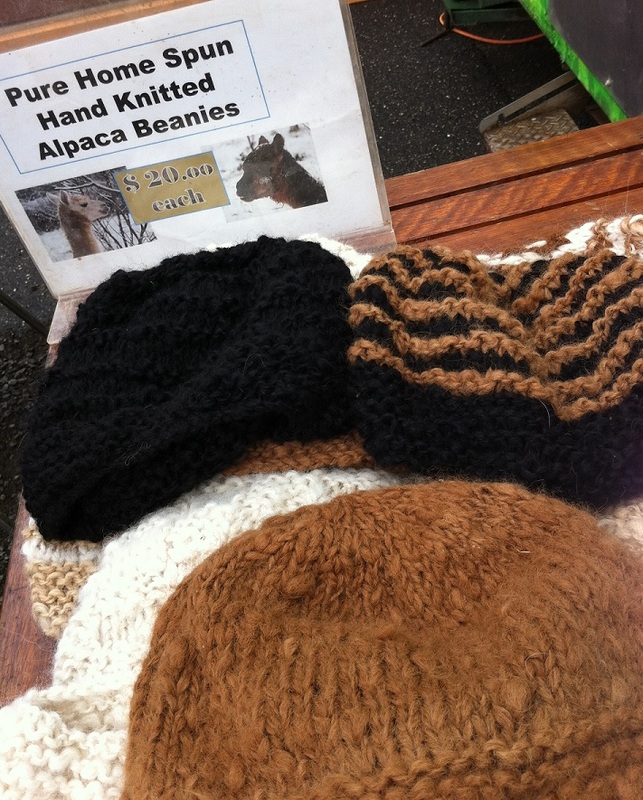 When the alpaca wool lady isn’t in, I get my alpaca fix from the van that sells minestrone soup (go figure) – they are always here and they sell alpaca wool beanies for $20. While I’m there, I buy minestrone soup for $4. Nearby is a little lady who knits baby jumpers – not alpaca but she does wool and wool blends. I buy these for the next rounds of babies my friends are having. Starts from $15. Then, I move onto the cosmetic stand which sells MAC and Benefit. I buy MAC blushes for $15 and Benefit blushes for $20. I can’t tell if they’re fake; if you can tell, then let me know. At the Saturday Farmers’ Market which is on the first Saturday of the month (9am to 1pm at Daylesford Primary School on Vincent Street), you can buy organic fresh produce and snacks. 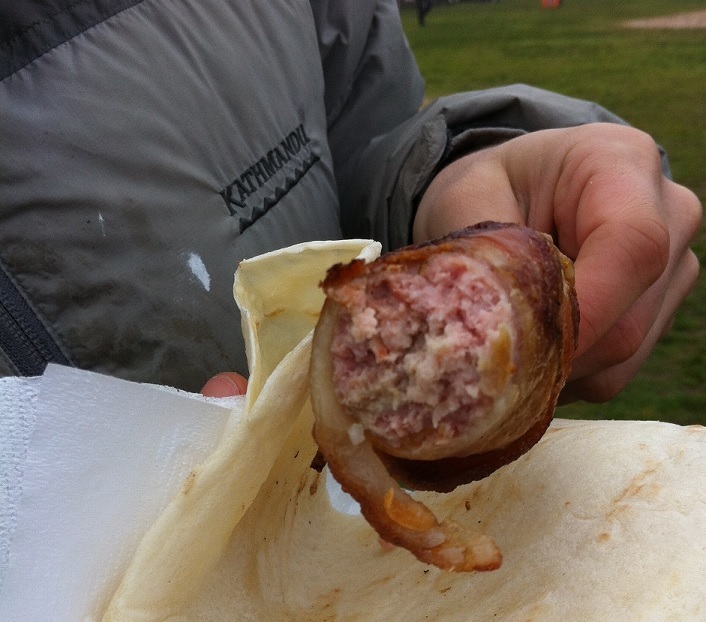 My favourite is the ‘pigs in the blanket’ stand which sells mince pork on a stick, wrapped in bacon, wrapped in freshly toasted Macedonian bread ($5). This market pales in comparison to the Sunday one. At the Makers’ Market which supposedly happens on the first Saturday of the month; I haven’t actually been yet as despite what it says on the website, it hasn’t happened for over a year. Ahhh the country!